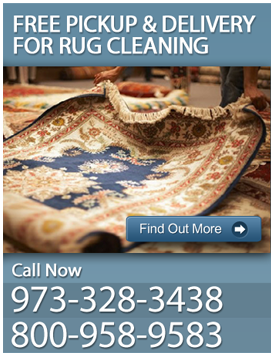 Are you looking for Oriental rug cleaning in Mount Arlington, NJ? At ACE Carpet, we use the experience gained in our 25 years of service to provide our customers with high quality oriental rug cleaning. Using leading methods and products, our rug cleaning technicians take careful steps to fully groom your oriental rug, rejuvenating its appearance and removing odor causing bacteria, stains, and debris that have accumulated from casual usage over the years. Since we started, customer service has been our priority, which is why we are hard at work 24 hours a day, 7 days a week inspecting, cleaning, and transporting oriental rugs back to their homes for years of added personality to your home. The oriental rug comes from many different areas of the world, each with a unique take on the ancient form of carpet weaving. Oriental rugs are expertly crafted with a wide-variety of materials including silk, cotton, and wool. Each of these materials requires different cleaning methods to ensure proper removal of stains and odors, and our cleaning technicians are trained and knowledgeable in each instance. 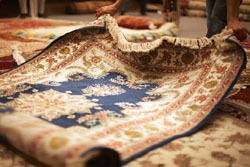 When we first come to pickup for Oriental rug cleaning in Mount Arlington, NJ, we inspect each rug for any particular care we must take to leave it looking fresh and clean. Because of the many different types of dyes and materials that can go into a single rug, it is important for us to know which methods we need to use to give it a full, deep clean. ACE Carpet provides professional Oriental rug cleaning in Mount Arlington, NJ either on-site or by our free pick up and delivery service. Either way, you can be assured that your rug is receiving professional care from the moment we first pick it up to the moment it is cleaned. Our professional methods are carefully chosen for each rug, as we understand that these delicate pieces need precision and consideration when undergoing a deep clean. With each Oriental rug cleaning in Mount Arlington, NJ, we begin by first inspecting the rug for discoloration, fading, damage, and wear. We then treat it with a combination of pre-vacuum and specialized treatment products to remove loose particles and gently treat stains, spills, and odors. After, we begin our cleaning processes, including a thorough rinsing and washing of your Oriental rug to deep clean the fibers down to the structure of the rug. One of the Oriental rug's finest qualities is its softness, and our cleaning methods seek to restore this after the presence of stains or spills has hardened them. Once we have completed our rigorous cleaning, we groom the Oriental rug, comb the fringe, and bring it back to its original beautiful state. Our climate controlled room softly warms the Oriental rug until it has fully dried, now restored and back to its beautiful state. We will, once again, inspect your Oriental rug before returning it, ensuring that we have removed the stains, odors, and debris, giving your Oriental rug years of renewed usage. ACE Carpet is committed to restoring your Oriental rug to its beautiful state. Our Oriental rug cleaning in Mount Arlington, NJ methods and years of experience have seen many types of Oriental rugs, and we treat each with care and consideration to its fibers, dyes, and piles. Our prompt service and affordable rates will restore your Oriental rug's dazzling appearance, making it once again a focal point of your room. For more information about Oriental rug cleaning in Mount Arlington, NJ, call ACE Carpet Cleaning today for a free estimate at 973-328-3438. Get your free Oriental area rug cleaning estimate in Mount Arlington, NJ now!